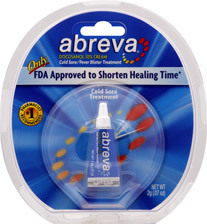 Abreva is the only over-the-counter medication approved by the FDA that is proven to shorten healing time. It contains 10% Docosanol — a unique, patented ingredient that speeds healing and helps protect healthy cells against the cold sore infection. Abreva cold sore treatment penetrates deep to the root of your cold sore to heal it faster. 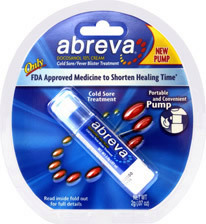 When you use Abreva at the first tingle, you’ll notice it immediately soothes your cold sore. The medicine goes deep into the skin to strengthen the cell membranes surrounding your healthy skin cells. It actually turns these cells into barriers against the cold sore virus — blocking the virus from entering healthy cells. With Abreva, you’ll get cold sore relief and shorten healing time.